You will have to stomach some compromises with this inexpensive wireless headset, though. 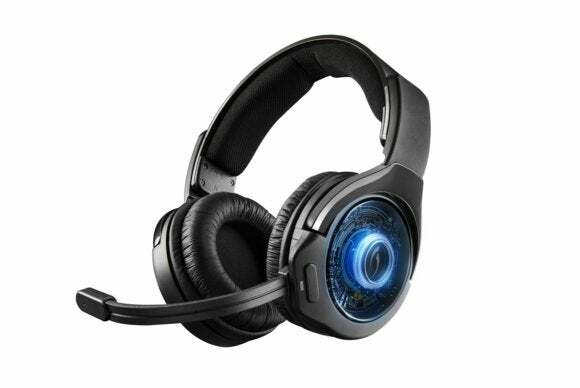 For a long time, wireless gaming headsets were way overpriced. 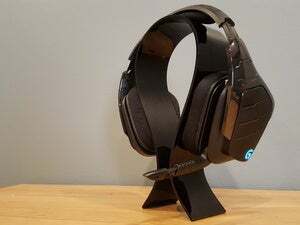 Take the Astro A50 and SteelSeries H: Sure, both had good audio and solid build quality, but they also each had a whopping $300 price tag. That’s a pretty huge premium on untethered convenience. 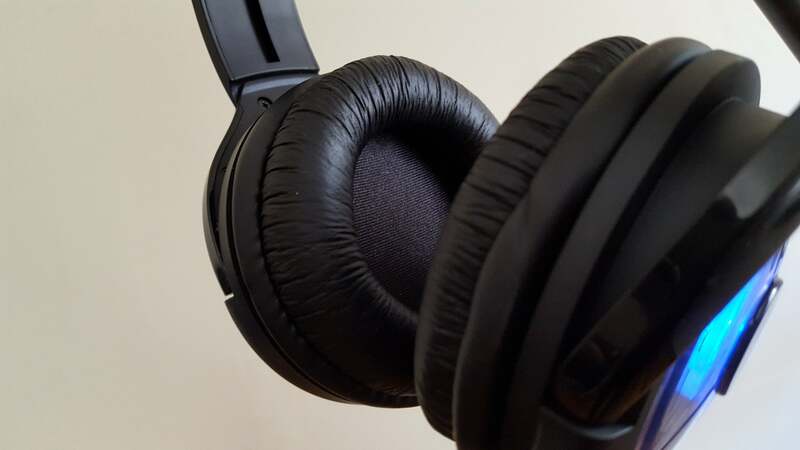 But the low end of the market has been filling out, with new sub-$100 wireless headsets from numerous companies in the last year. 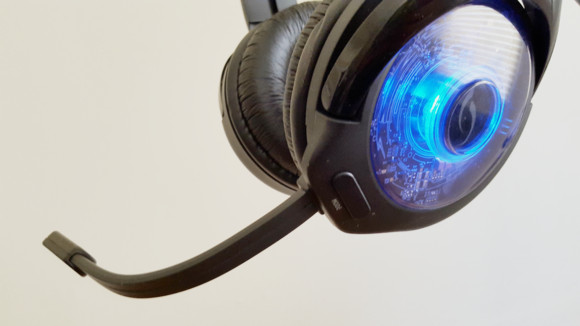 One of those is Performance Designed Products’ new version of its Afterglow headset—the AG 9, which is currently available on Amazon for well under a hundred bucks. The AG 9 is easy enough to set up. It comes with a simple USB dongle transmitter, similar to Corsair’s latest wireless headsets, that you plug in. That’s it. If you see a blue light, it’s connected. All controls are built into the headset: a mode select button, a volume wheel, and a combination mute/unmute/power button. The volume wheel isn’t great—it’s so small that I found it hard to locate with the headset on, but at least it exists. Inexpensive wireless headsets are all about compromises. Some skimp on audio. Some on the microphone. Some on build quality. The AG 9 falls into that last category. I don’t mean the design, though that’s certainly going to be polarizing. True to its Afterglow branding, the AG 9 lights up like a signal fire in the night. I’m not sure when we’ll hit the peak amount of LED lights on headsets, but the AG 9 does its best to set that bar. It gives the SteelSeries Siberia Elite Prism a run for its money. The LEDs also come embedded under clear plastic, featuring exposed circuitry on one side and faux-electronics on the other. Some will probably like it, but it mostly reminds me of the old purple N64 controller. In other words, it’s a bit too “Look at me, I play games” for my taste. The AG 9’s earcups aren’t super comfortable—one of the trade-offs of its low price. Aesthetics are subjective, though. Less subjective is that the AG 9 simply doesn’t feel as comfortable or durable as similarly priced wired headsets like the HyperX Cloud. The earcups are covered in cheap-feeling leather, the headband in mesh, and the headset has a tendency to pinch inward on the jaw. It did loosen up a bit over time, but the weight of the earcups meant considerably more tension in the band than other sets I’ve worn. But it’s a sub-$100 wireless headset, so I soldiered on with a slightly sore jaw. The takeaway? I don’t think the AG 9 will win any awards, but its audio is decent enough for those who need to untether and are on a budget. And that is important to some people, what with the arrival of virtual reality and a greater need for wireless peripherals. The AG 9 comes with two listening modes: “Pure Audio” and “Bass Boost.” The Pure Audio setting isn’t quite a flat response like you’d get from a decent pair of studio headphones, and the high end is a bit muted, but it’s noticeably less bassy than any other gaming headset on the market. Even less than Polk’s already-understated Striker Pro P1. Of course, some people want that kick-in-the-teeth bass—especially for games. If that’s your bag, you can switch to the AG 9’s Bass Boost mode with the press of a button. It’s not super pleasing, though. It sounds artificial and churns out distorted bass even at low volumes. The rattling of the drivers is less distracting in video games, where the bass is typically tied to big explosions, but in music it sounds criminal. Don’t touch this mode button. Just don’t. In short, stick to Pure Audio, unless you’re a bass masochist or playing games where the distortion won’t be distracting. Or adjust the EQ settings yourself in third-party software—I encountered fewer audio issues with that approach than using the Bass Boost mode. As for the microphone, the AG 9 follows recent trends and includes a detachable boom mic. It’s a mid-pack contender. Volume is a bit quiet and there’s a telephone-esque rasp to the sound, but the mic gets the job done. Also appreciated is a generous amount of sidetone, aka being able to hear yourself in the headset. I prefer it as a feature, though I know others don’t. The downside: There’s no chat mixer on the headset, so if you don’t like sidetone, you’re out of luck. PDP advertises the AG 9 with a range of 40 feet. Like most wireless devices, that’s a theoretical maximum and not a guarantee of reality—especially if you live in a San Francisco apartment with plenty of solid walls and lots of spectrum interference. My testing topped out around 25 to 30 feet, with stability at that range slightly worse than with the Astro A50. That’s still plenty of reach for your usual gaming/television usage, though. Plus, my apartment is basically a worst-case scenario for wireless devices. You can also go wired—either through charge-and-play wireless or 3.5mm line-in. The AG 9’s battery life does very well. Though I only got 12 out of the 16 hours PDP claims, that’s still on par with top-end competitors. For comparison, I typically get 5 to 6 hours out of the A50, 8 to 10 out of Logitech’s G933, and 12 or more out of the Razer Man O’ War and Corsair Void Wireless. This is a headset that can go all day, provided you find it comfortable enough to wear that long. PDP’s Afterglow 9 is a solid-sounding wireless headset with a unique aesthetic and a decent microphone. It’s also made of flimsy-feeling plastic, is a bit uncomfortable, and that “unique aesthetic” is maybe too unique. Those are the compromises to get the price as low as it is. Whether that works for you will depend on what you’re willing to sacrifice in order to pay less than $100 for wireless headset.